Has anyone out there read The Cat Who . . . series by Lilian Jackson Braun? I have to admit that these books are my guilty pleasure. They first came to my attention in 2010, although the first one was written in 1966. And that is partly why I was drawn to them – they are glimpses into the past. The series’ main character, Qwilleran, is a newspaper man in the first few books, and I loved reading about the typewriters and pencils that filled the room where the journalists churned out all their stories. Such a place is so far removed from the computers and digital layouts of today, that that alone is interesting enough to keep me reading. But then came the cats, hence the guilty pleasure. Qwilleran ends up adopting two cats, one each in the first two books of the series. And that first cat has a sixth sense… Or does he? There is a gap of 18 years between the third book (1968) and the fourth (1986), and from then on they came out very regularly until 2007. Reading through the developments of electronic library catalogues and cell phones, cats who help solve murder mysteries, and a little town “400 miles north of everywhere,” is what makes these books such a joy to read. They warm the heart and they don’t require too much from the reader. I highly recommend this series to anyone who enjoys a quirky read, or who needs something to calm the soul and bring a smile. In my December 18, 2014 posting, Intriguing!, I got to thinking about graphic novels a bit. I realized that I don’t own any, and if I want to build a well-rounded collection, I should have some in it. The problem for me is, most graphic novels are dark, both literally and figuratively. The subject matter is often less than uplifting, and the images are frequently very graphic. Go figure. So I decided that I would make it my mission to find at least one graphic novel that I like: one with pleasing illustrations, and an uplifting or at least interesting story line. And guess what? I found some. 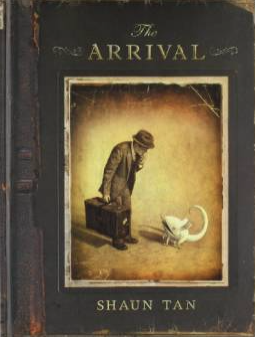 Shaun Tan’s book, The Arrival (2007) is stunning. The illustrations reminded me right away of Chris Van Allsburg’s style, and the creativity displayed as Tan marries the age-old tale of a newcomer in a foreign land with futuristic cityscapes and animals provided a new delight on every page. At 128 pages, it’s really more of an illustrated story (there are no words), than a graphic novel, but it’s still a worthy addition to anyone’s collection and will be enjoyed by adults and children alike. For more information, check it out on Amazon.com. 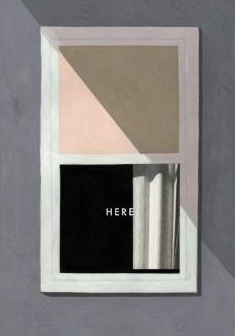 Here, by Richard McGuire (2014), is also a really neat book. As I mentioned in December, it is the story of one little piece of land told over many centuries, with glimpses into different years together on the same page. 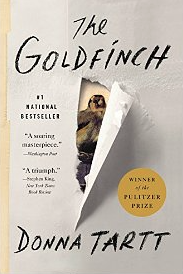 This is definitely a novel, at 304 pages, and also worth adding to your collection. For more information, check it out on Amazon.com. Well, here it is, Wednesday already. A couple of weeks ago, I tried participating in Should Be Reading‘s WWW Wednesdays event, and it was kind of fun. I missed last Wednesday, but I thought I might try it again today. The rules are, you share (1) What you are currently reading, (2) What you recently finished reading, and (3) What you plan to read next. (1) I’m currently reading, The English Girl by Daniel Silva (2013). A spy thriller, and good so far, but I’ve barely started it. 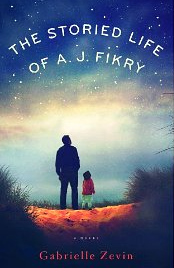 (2) I recently finished reading The Storied Life of A. J. Fikry by Gabrielle Zevin (2014). It was heart-warming, but also sad. A keeper, though. I love books about bookstores. 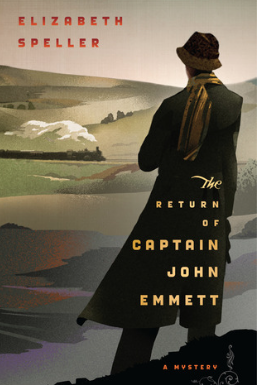 (3) Next I think I will read The Return of Captain John Emmett by Elizabeth Speller (2011). Set in post WW1 England, it’s also a thriller, and it was a Christmas gift from my father (thanks, Dad!). That’s it for this week’s WWW Wednesday installment. Feel free to comment with your own WWW Wednesday titles, or put a link to your WWW Wednesday post in the comments, or go straight to the source and comment at Should be Reading. Should Be Reading hosts a weekly event called WWW Wednesdays (or at least it was hosted through 2014. I hope it’s still a thing..) where you share (1) What you’re currently reading, (2) What you recently finished reading, and (3) What you think you’ll read next. This is the first time I’ve contributed to a WWW Wednesday, but since there are a few minutes of Wednesday left, I thought I’d try it out and see how it feels. 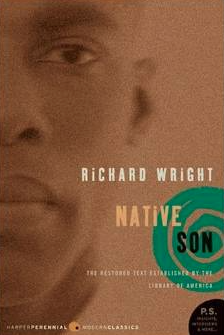 (1) I’m currently reading Native Son by Richard Wright, first published in 1940. (3) and next I plan to read The Storied Life of A. J. Fikry by Gabrielle Zevin (2014). 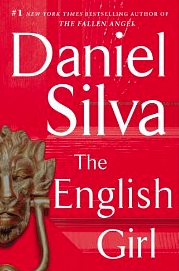 (3)(i) Or maybe The English Girl by Daniel Silva (2013). I’m not sure yet. So there you have it: my first WWW Wednesday installment. Feel free to comment with your own WWW Wednesday titles, or put a link to your WWW post in the comments, or go straight to the source and comment at Should be Reading. As winter approaches, time spent indoors with a good book and a cup of something hot becomes more and more appealing. Something to aim for at the end of the day, even. But maybe you don’t know what to read. Perhaps you’ve read all the books from your Amazon wish list and those hours on the couch under a blanket are making you anxious because you don’t have any books waiting (unlikely for a book lover, I know). Well, be anxious no more! I have just the thing for a chilly winter’s eve: great detective novels from the early 20th century. Do you enjoy Agatha Christie? Then you will surely like the works by these award-winning mystery writers. 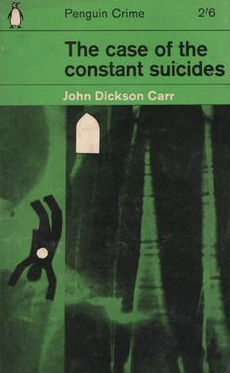 John Dickson Carr – Master of the “locked room mystery” where the detective solves an impossible-seeming crime, his books are easy and delightful to read. 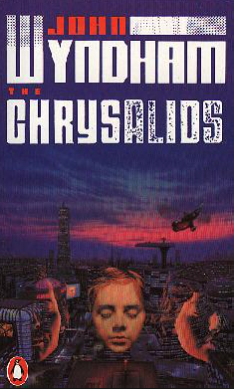 Dr. Fell is the main detective in the books he wrote under this name, although there are a few other titles with a different detective figure. Carr is perhaps best known for The Hollow Man, published in 1935 (US title- The Three Coffins). Carter Dickson was a pseudonym, and books under this name have Sir Henry Merrivale as the detective. 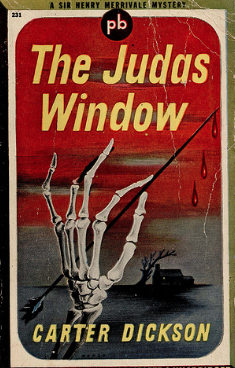 Carr was prolific, and his work The Crooked Hinge (1938) is often cited as a classic of great detective fiction. 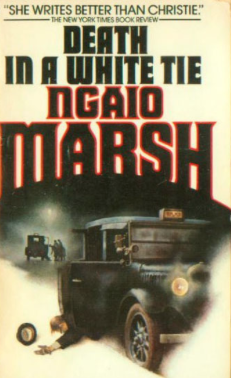 Ngaio Marsh – More murder, mystery and detection from the 1930s make these books a fun way to spend an evening. Marsh’s first novel was published in 1934, and Death in a White Tie (1938) is one of my favorites. 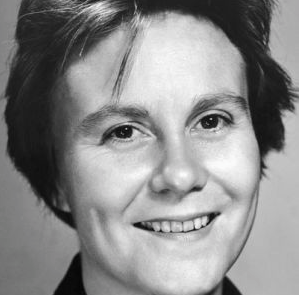 She wrote eight books in the 1930s, but went on writing until the early 1980s. The main detective figure in Marsh’s mysteries is British CID detective Roderick Alleyn. 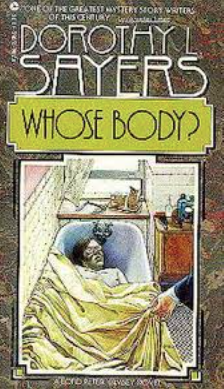 Dorothy L. Sayers – As with the others listed in this post, books by Dorothy Sayers are pure entertainment, with interesting historical aspects for the history-lover as well. Whose Body? was one of her most popular, released in 1923, although the bulk of her mysteries were written in the ’30s. (Five Red Herrings- 1931, Have His Carcase- 1932, The Nine Tailors- 1934 and several others). Lord Peter Wimsey is her main detective figure; she and Ngaio Marsh were both “Queens of Crime” along with Agatha Christie. 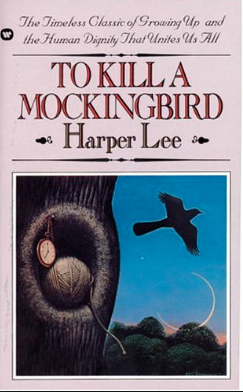 In high school English class, we all had various books assigned to us. 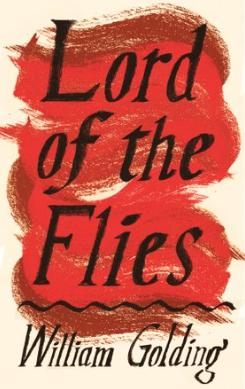 In grade 9 I read The Chrysalids and Lord of the Flies, both of which I thoroughly unenjoyed. 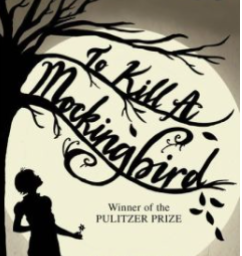 So now I ask you, dear readers, what did you read in high school English (aside from Shakespeare)? Please share! A synopsis and your opinions would be lovely, but I don’t ask you to invest a lot of time. Just some titles and comments. I’m looking forward to comparing our experiences! If you are near Toronto next weekend, don’t miss INSPIRE! at the Metro Toronto Convention Centre, North Building. (255 Front St., West) from November 13-16, 2014. Click here for hours and ticket prices. Click here for the list of exhibitors!